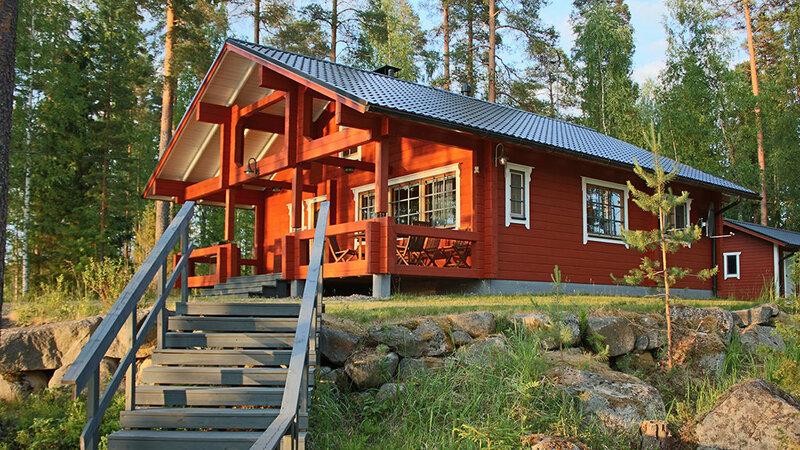 The Tiilikka holiday home comprises a main cottage, beach sauna and barbecue hut. They are situated on a hectare of land on the tip of Tiilikka Island. Tiilikka is ideal if you want to spend a holiday on your own island but still conveniently reach your cottage by car. The uniqueness of the location is best demonstrated by a look at a map of Lake Soukkio. 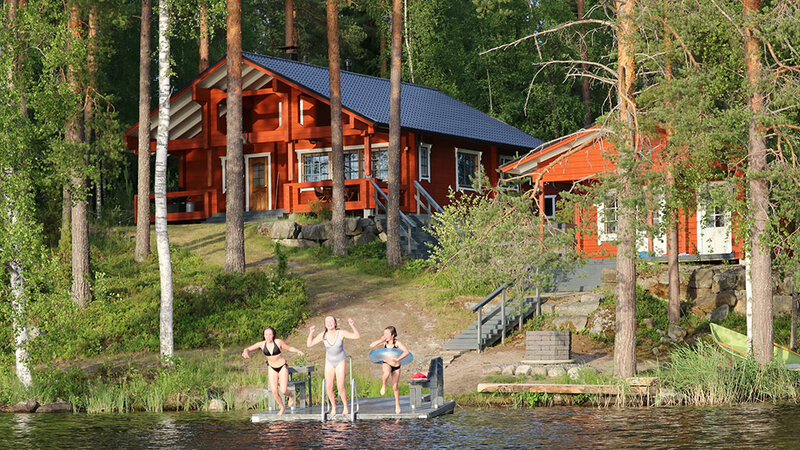 Tiilikka Cottage is ideal for both families and groups of friends. The main cottage has three bedrooms, one of which is upstairs, and a kitchen combined with a dining/living room. This open-plan solution enables spending time together even while cooking. The main cottage also features a well-equipped bathroom, toilet and electric sauna. There is a traditional wood sauna in a separate sauna building on the beach. The spacious dressing room of the sauna building can also double as the fourth bedroom, thanks to its 140 cm wide bed. The equipment of Tiilikka also includes a barbecue hut, gas grill, sandbox, rowing boat and carport. You can find blueberries and chanterelles on Tiilikka Island, even in the cottage yard. All in all, Tiilikka offers a great and comprehensive package that meets the needs of a cottage holiday. Prices from: 1002 euros/week and 432 euros/weekend. Final cleaning: 110 euros. Sheets & towel set 18 euros per person, or you can bring your own. Between middle of June and late August, the minimum rental period is 4 days and the arrival day can be any weekday. For offer of longer periods (over two weeks), please write to sales@rockandlake.com Midsummer period (wk 24 - 25) makes an exception, also in change days, please check the calendar.